Create a new revenue stream with vendor ecosystems, prepack merchandise add-ons. A great experience starts at registration. That's when we step in. Your customers start coming in. You need to quickly check their credentials and print their badges. They want to interact with one another and maybe check what's now on the stage. You need a mobile app. Some of them have perks and benefits. Some have access to special seminars. Some are invite-only guests. How could you manage everything in just one place? Wait ... there's the vendors. How can you quickly process food and beverages payments? Is it possible to get some report of what's a best seller? Maybe understand purchase trends? Oh, the sponsors and exhibitors. They're your trusted partners but setting up a simple lead collection system is a nightmare logistically and financially. Could there be a better solution for this? With us you get a streamlined process from registration, to vendor ecosystems to audience engagement. Oveit runs directly on your website or Facebook page. There is no need to point your attendees toward another website. Copy and paste a short code and you are ready to go. You can customize how the event widget looks and feels. Change colors, fonts, follow up email and even attendee badges or registration tickets. Easily import data from other third party ticketing solutions and benefit from Oveit's benefits. Connect multiple sales channels with an easy to use import feature. For specific ticketing and event management apps we can integrate and import data in real time. Setup your registration forms in seconds. Request text, email, dates, files or multiple options inputs. Create GDPR compliant forms. Receive payments in over 15 currencies. Connect your PayPal, Stripe or Bank account and you are ready to go. Oveit helps you issue invoices automatically after payments are processed. No setup needed. Set up invite only tickets that can only be accessed via invite codes. Customize the follow up experience for your conference attendees. Make sure your brand stands out in follow up emails, branded tickets or invoices. It's easy to create customized badges for your visitors. 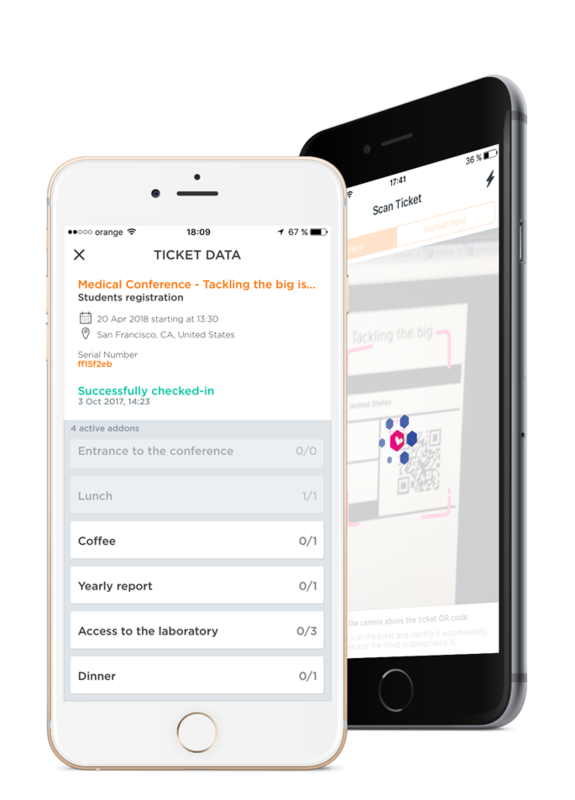 Use data collected with forms, add it to your badge and be ready to send and print attendee badges in seconds. Use QR codes or NFC chips to enable data capture for your exhibitors and partners. 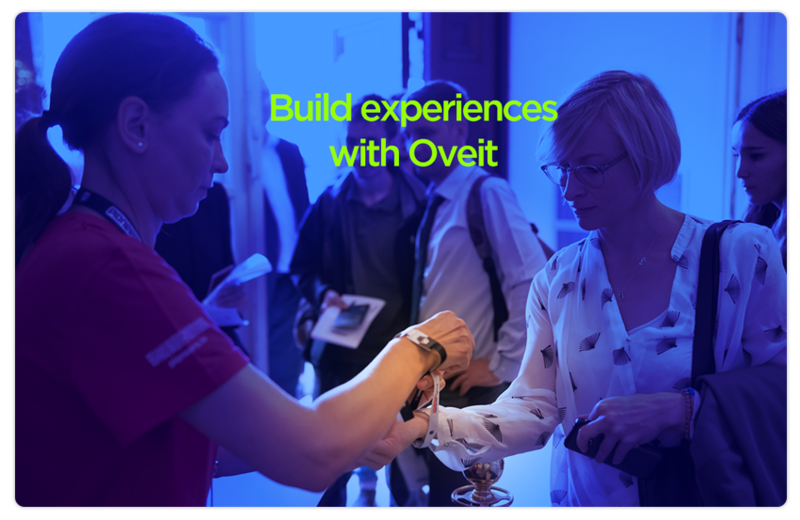 Oveit adds two new revenue channels for you and your conference. The first and most important is the vendor ecosystem. With our solution you can allow visitors to top up wristbands and pay at your vendor partners. Why use vendor ecosystems and closed loop payments? With our technology you become your own conference minibank. Closed loop payments is a technology mostly used by festivals but it is now coming to a conference such as yours. With vendor ecosystems you are in control of the payment flow between your visitors and approved vendors. This way you can monetize transactions, get purchase data insights and improve visitor's experience with faster and more pleasant payments. We are introducing a new way of looking at your event's registrations. Until now the conference ticket would only allow entrance. With our technology you can prepack an unlimited number of benefits and addons. From food to beverages, from conference merchandise to access to special areas, we provide you with a great ability: expand your conference ticket to a digital wallet. Enhance your visitor's experience. You can now easily create personalized experiences, treasure hunts and allow your visitors to interact with you and your exhibitors.